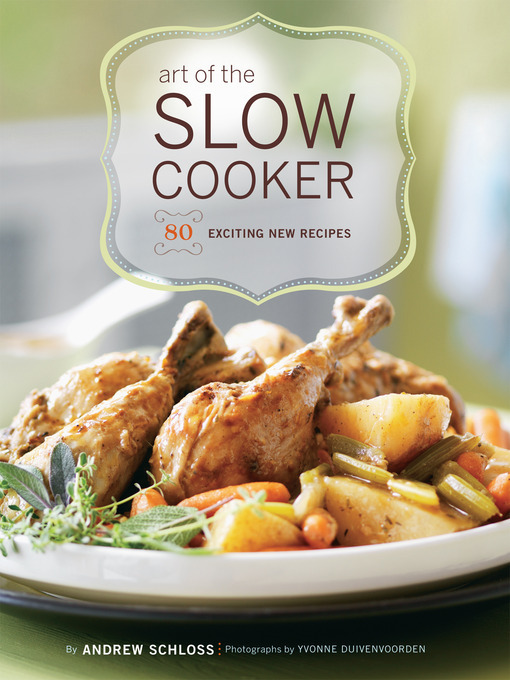 For the Art of the Slow Cooker, best-selling author Andrew Schloss has developed 80 recipes for soups, stews, succulent braises, vegetarian disheseven dessertsthat bring slow-cooked meals to new heights. Slow cooking gives a wonderful velvety texture to meatloaf, an incredible richness to Osso Buco Milanese, and bold and complex flavors to Curried Vegetables and Dal simmered in Indian spices. Each chapter offers recipes for both simple everyday meals and spectacular dishes perfect for entertaining. With cooking charts to help with timing, advice on finding the right slow cooker for every kitchen, and glorious color photographs throughout, the Art of the Slow Cooker will delight readers looking for easy and amazing meals.